The dinner I made tonight was quick , easy and delicious, right down to the Homemade Alfredo Sauce. With only three ingredients and a little patience you can make Homemade Alfredo Sauce and stop buying it in the jar. Warm the cream up under low heat until it’s hot but not boiling. Add the butter cubes to the cream in batches, waiting until each batch melts before you add the next one. 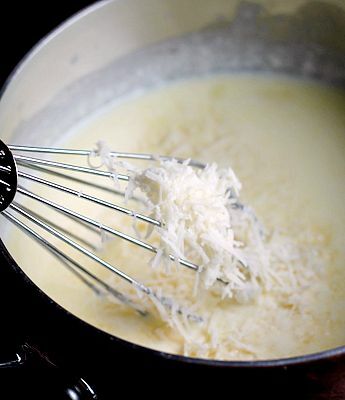 After all the butter has melted, add the grated Parmesan Cheese to the pot in batches, stirring until each batch has melted before adding more. Stir and cook the mixture on low until it’s smooth. Add seasoning of your choice such as garlic powder, onion etc. Remove it from the heat, it will thicken as it stands. Hows that for easy and absolutely delicious!! 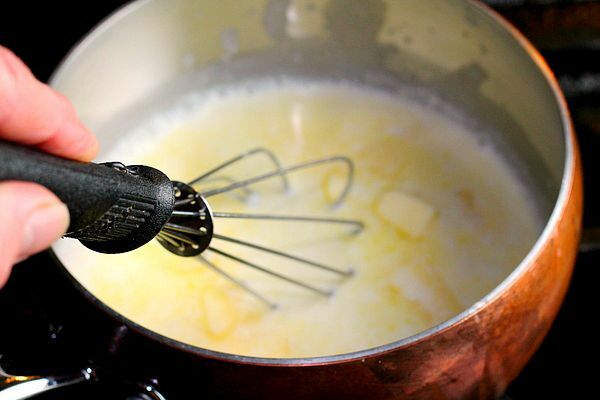 Warm the cream up in a medium size heavy duty saucepan under low heat until it’s hot but not boiling. Add the butter cubes to the cream in batches, waiting until each batch melts before you add the next one. After all the butter has melted, add the grated Parmesan Cheese to the pot in batches, stirring until each batch has melted before adding more. Stir and cook the mixture on low until it’s smooth. Add seasoning of your choice such as garlic powder, onion etc. Remove it from the heat, it will thicken as it stands.